What could be more festive than sparklers for a birthday celebration? Nothing! The above picture is from my birthday last year. 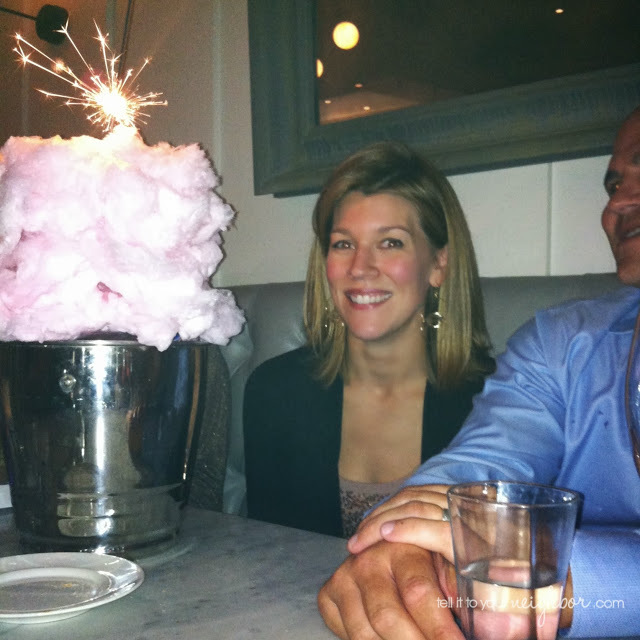 Cotton candy and a sparkler will make anybody happy! It’s a fun tradition at these Houston restaurants. So this year when I was picking up my birthday gift to myself, a Nothing Bundt Cake, I saw these awesome numbered mini-sparklers for the top of a cake! My daughter begged me to get them so I got a #3 and #6. 36, that’s upper 30s folks! The Mini Gold Sparklers are by Tops Malibu and in addition to the numbers they have shapes, a mini heart and a big star. 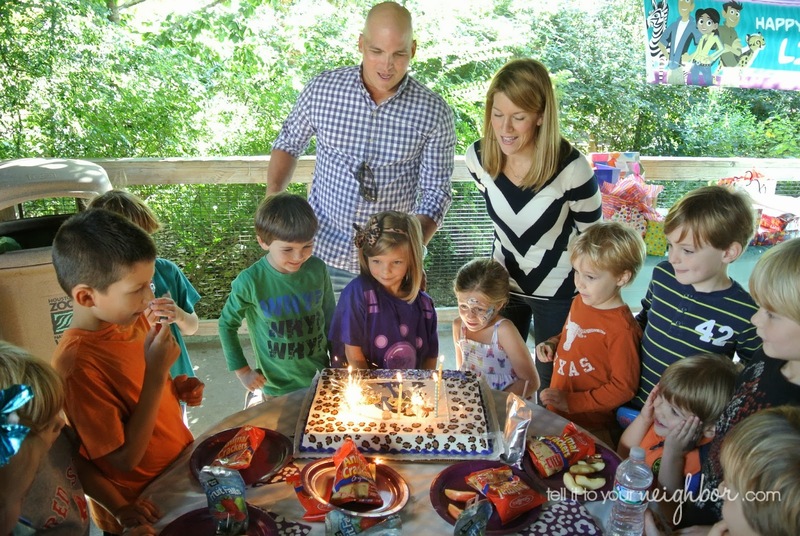 So we surprised our daughter this past weekend with a #6 and a heart sparkler for her 6th birthday. She thought it was pretty fantastic! 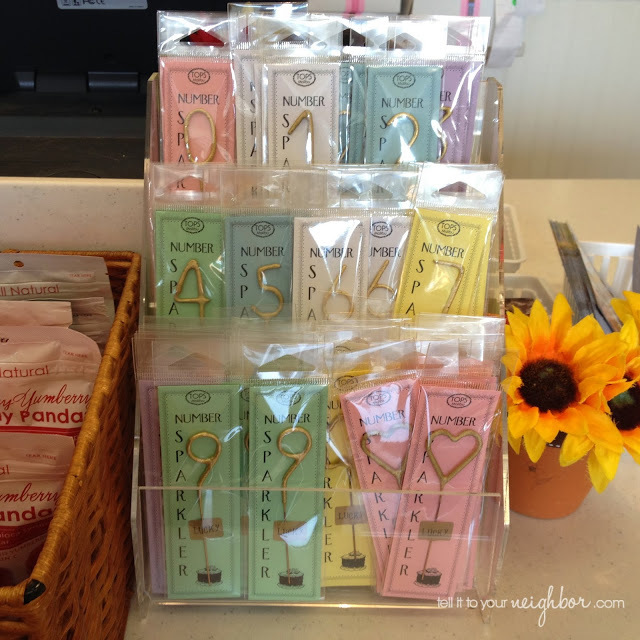 I’ve only seen these mini sparklers at the Nothing Bundt Cakes store. Here they are online: Mini Gold Sparklers 4″. If you’ve seen them anywhere else, please share! 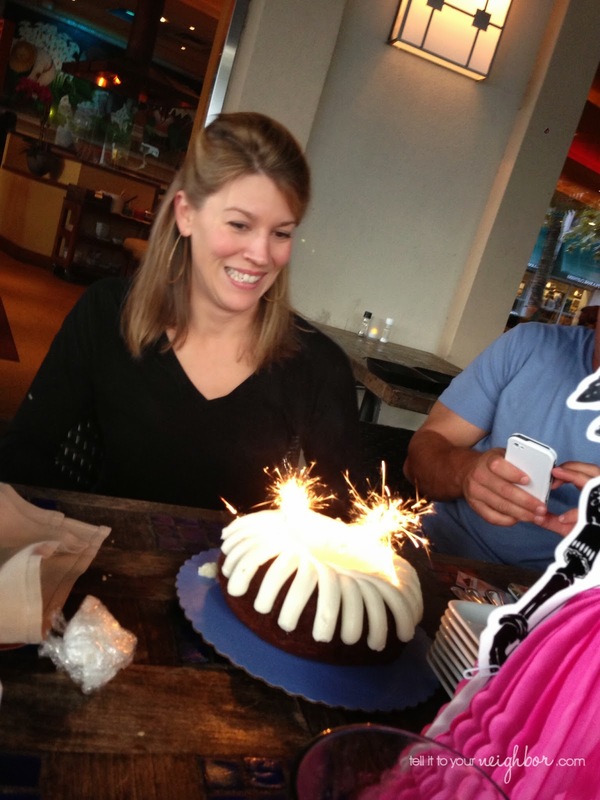 Her cake is amazing and I LOVE the sparklers!!! What a cute idea! Also, I'd love to know what these restaurants are with the great patios? 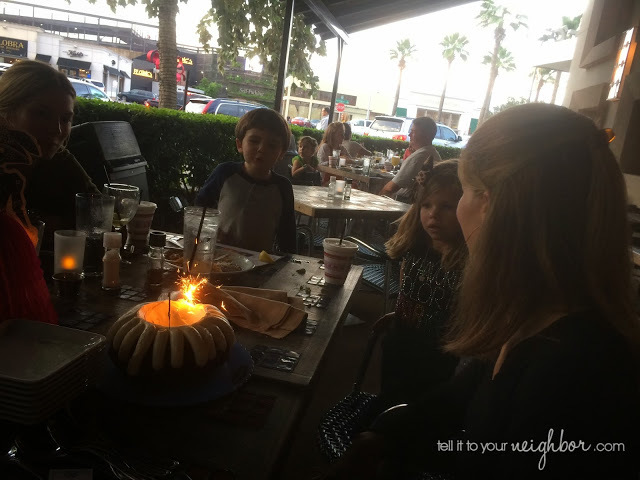 Whitney, my favorite patio in Houston is Escalantes in Highland Village! Oh la la bakery in city centre has them too. Cute! So fun! Kuhl Linscomb has them in their card building!